Enjoy a cuppa tea or coffee as you crochet? Always trying to find a good place to stick your pins? 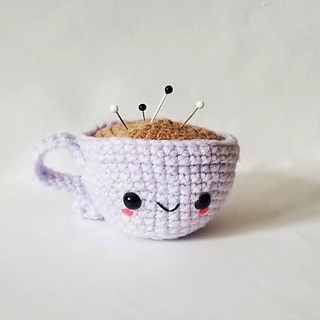 This Lill Cuppa Pin Cushion is the perfect solution, especially when you’ve maxed out on your caffeine allotment for the day! 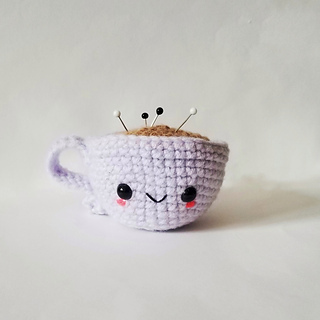 Crochet her in the colour of your favourite mug, add a top to match the colour of your brew, and she’ll be the perfect crochet companion! This pattern has been tested by several testers using a variety of yarns. If you encounter any problems while completing this pattern, please do not hesitate to contact me on here, Instagram, or Facebook!